Tom Golisano was the Major Underwriter of the Clinton Global Initiative Annual Meeting for nine years from 2005 to 2013. Mr. Golisano made a challenge grant of $5 million in May 2010 for the new Golisano Children's Museum of Naples, which opened in March 2012 in Naples, Florida. The 30,000-square-foot Museum features ten spectacularly designed, child-scaled exhibits to invite sensory and intellectual exploration. 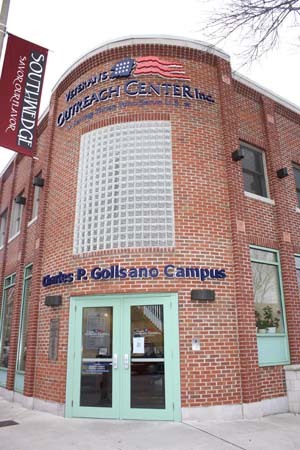 In November 2006, Mr. Golisano contributed $750,000 to the Veterans Outreach Center of Rochester, NY. The gift was used to create the Charles P. Golisano Campus in honor of Mr. Golisano's brother who was killed in the Korean War. In January 2004, Mr. Golisano contributed $2 million to WXXI Public Broadcasting in Rochester. The gift will help WXXI meet the federal mandate to begin digital broadcasting. In July of 2004, Mr. Golisano donated $1 million to Heritage Christian Services of Rochester, a human service agency supporting those with disabilities.